Individuals must be a part-time or full-time student enrolled in a Georgia college or university in a graduate program and a member of GSHA. A personal statement relating to the reasons the student is pursuing a degree in communication disorders. Future goals focusing on what the student hopes to contribute to the professions. Statement regarding how this award will help the student reach these goals. Any additional information the student feels is pertinent, such as financial need. A letter of recommendation from a faculty member regarding the student’s scholastic achievement, leadership skills, and related professional involvement in research or service at the local or national levels. A letter of recommendation from a clinical supervisor (on-campus or off-campus) regarding the student’s clinical potential, leadership skills, and related professional involvement. The amount of the scholarship is $500.00, provided from the Jack Bess Memorial Fund. The fund was established May 1, 1987, in memory of Jack Bess. The fund is administered by the GSHA Management Office. Contributions to the fund can be made at any time to the GSHA Management Office, 222 S. Westmonte Drive, Suite 101, Altamonte Springs, FL 32714. 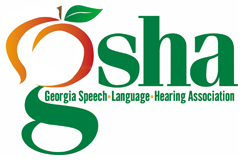 Solicitation of funds are made at GSHA's Annual Convention and through periodic mailings to the GSHA membership.